The divine services of the local church are being conducted in the Parish Hall, pending the erection of the new organ at the church. 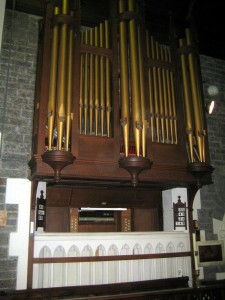 The organ arrived last, week, and it is expected that it will be installed in two or three weeks, when completed, it will undoubtedly be second to none in the district. The Church Choir are preparing for the organ recital to be. held in conjunction with the consecration of the organ for divine service by the Lord Bishop of St. David’s. The service will probably take place at the end of this month. On Tuesday afternoon and evening the Lord Bishop of St. David’s preached at the dedication service of the new organ lately built at St. Michael’s Church, through the untiring-efforts of the Vicar (the Rev. J. R. .Tones), and we are glad to learn that it has been paid for before dedicating it to the service of the Lord. This is precisely as it should be. The Rev T. R. Jones came to Dafen about. 21 years ago with a good record of work done in his former spheres of labour, and since his advent to Dafen he has succeeded in maintaining it. A monument that stands to the credit of the Vicar and his co- workers is the very nice Parish Hall, the debt of which, we are glad to learn, has been completely ,wiped off. The Vicar has also been successful in augmenting the benefice by his tactfulness and perseverance, with the aid of the Ecclesiastical Commissioners on three special occasions during the period of five years, and since then some of the property has been developed, to the further advantage of the benefice for all time. And recently Llwynhendy Church has been restored and renovated throughout. We not only congratulate the hard-working and energetic Vicar upon his past successful efforts, but also upon his happy relations with all denominations.in his parish, and on several occasions he has appeared to advantage on the public platform. 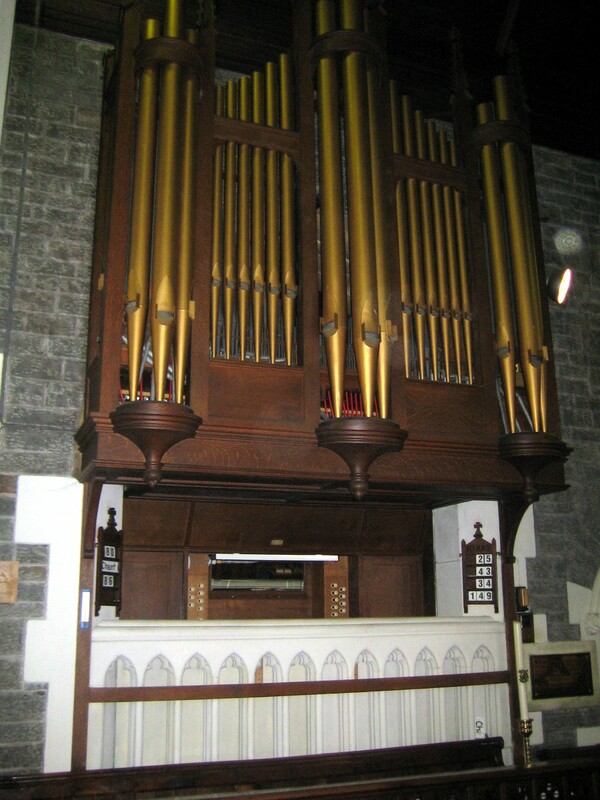 We now have the pleasure to record a still further success in acquiring a grant of £ 125 from Mr. Carnegie, being half the cost of the new organ for Dafen Parish Church. Following the dedication services of last week, special reference should be made to the excellent selection played on the organ by the Rev. D. Randell, B.A., F.R.C.O., curate of Saundersfoot. Mr. Randel has been organist of Dafen, Hay (Brecon), and Lampeter Parish Churches, and a brilliant scholar at Lampeter College. Due credit is also due to the present organist, Mr. J. Morris (Dafen Alaw) and choristers, who conducted themselves creditably. The special preacher for the occasion was the Rev. D. Watcyn Morgan, vicar of Llanelly. On Sunday afternoon, a grand organ recital was given at the Parish Church. Mr. J. Wigley GriffithsF.R.C.M. , organist at Holy Trinity Church, Felinfoel, manipulating the organ. The edifice was literally crowded, and the selections given were worthy of a past master, being standard works with variations – a most credible performance. The following rendered solos, with organ accompaniment :- “The Heavenly Song”. Mr. W. J. Thomas; “Mor Hawddgar,” Mr. J Howells; “Angels over bright,” Miss May Rees, Mr. Griffiths presided at the organ throughout the day. Special commendation must be given to the makers of the organ, Messrs. Lidiatt and Son, Gloucester, which, in the opinion of the Rev. D. Randell and Mr. Griffiths, is unequalled, and the workmanship perfect.